There will be only invited talks, some of which will be accessible to a broader audience, intended for students working in logic and those who wish to know more about the field. May 14, 2018 10:00, Saint Petersburg, Euler International Mathematical Institute, 10 Pesochnaya nab. May 14, 2018 11:30, Saint Petersburg, Euler International Mathematical Institute, 10 Pesochnaya nab. May 14, 2018 15:00, Saint Petersburg, Euler International Mathematical Institute, 10 Pesochnaya nab. May 14, 2018 16:30, Saint Petersburg, Euler International Mathematical Institute, 10 Pesochnaya nab. May 15, 2018 10:00, Saint Petersburg, Euler International Mathematical Institute, 10 Pesochnaya nab. May 15, 2018 11:30, Saint Petersburg, Euler International Mathematical Institute, 10 Pesochnaya nab. May 15, 2018 15:00, Saint Petersburg, Euler International Mathematical Institute, 10 Pesochnaya nab. May 15, 2018 16:30, Saint Petersburg, Euler International Mathematical Institute, 10 Pesochnaya nab. May 16, 2018 10:00, Saint Petersburg, Euler International Mathematical Institute, 10 Pesochnaya nab. May 16, 2018 11:30, Saint Petersburg, Euler International Mathematical Institute, 10 Pesochnaya nab. May 17, 2018 10:00, Saint Petersburg, Euler International Mathematical Institute, 10 Pesochnaya nab. May 17, 2018 11:30, Saint Petersburg, Euler International Mathematical Institute, 10 Pesochnaya nab. May 17, 2018 15:00, Saint Petersburg, Euler International Mathematical Institute, 10 Pesochnaya nab. May 17, 2018 16:30, Saint Petersburg, Euler International Mathematical Institute, 10 Pesochnaya nab. May 18, 2018 10:00, Saint Petersburg, Euler International Mathematical Institute, 10 Pesochnaya nab. May 18, 2018 11:30, Saint Petersburg, Euler International Mathematical Institute, 10 Pesochnaya nab. May 18, 2018 15:00, Saint Petersburg, Euler International Mathematical Institute, 10 Pesochnaya nab. May 18, 2018 16:30, Saint Petersburg, Euler International Mathematical Institute, 10 Pesochnaya nab. 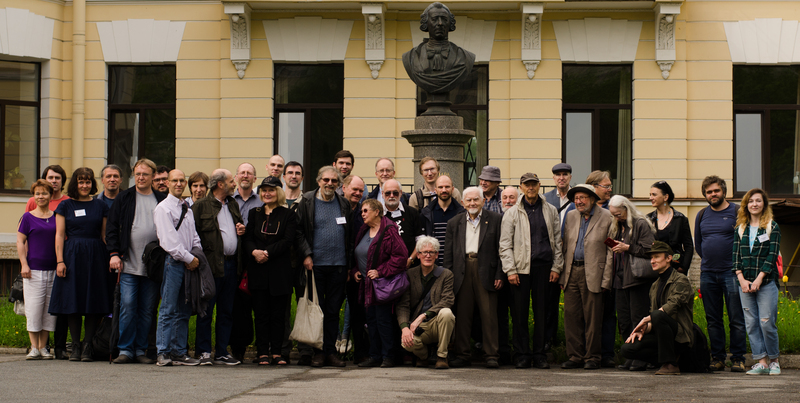 May 18, 2018 17:50, Saint Petersburg, Euler International Mathematical Institute, 10 Pesochnaya nab.